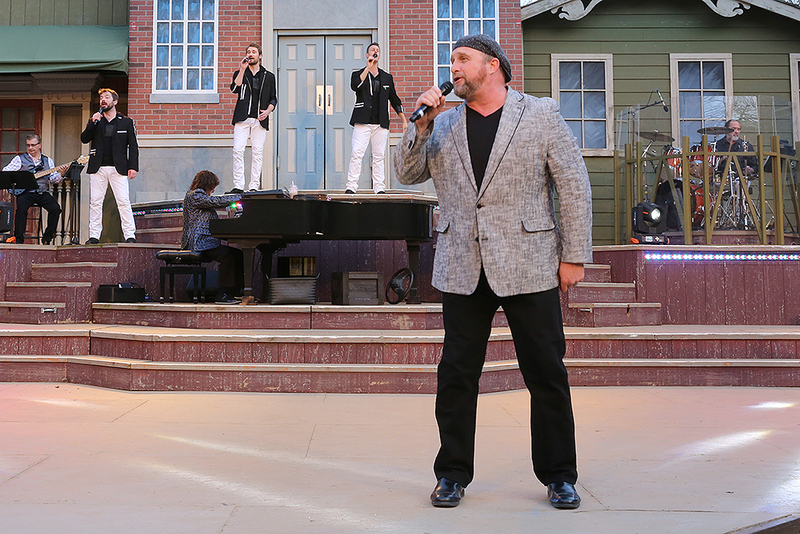 Check out this fresh batch of photos from another great week at Silver Dollar City & the Showboat Branson Belle! Online Exclusive: For a limited time, everyone can play like a kid and pay like a kid, too! Purchase your one-day ticket online today for only $54 plus tax and visit Silver Dollar City any operating day now through October 27, 2018. At Silver Dollar City, Wild West show emcee A.J. Silver smiles as he demonstrates the art of trick roping. 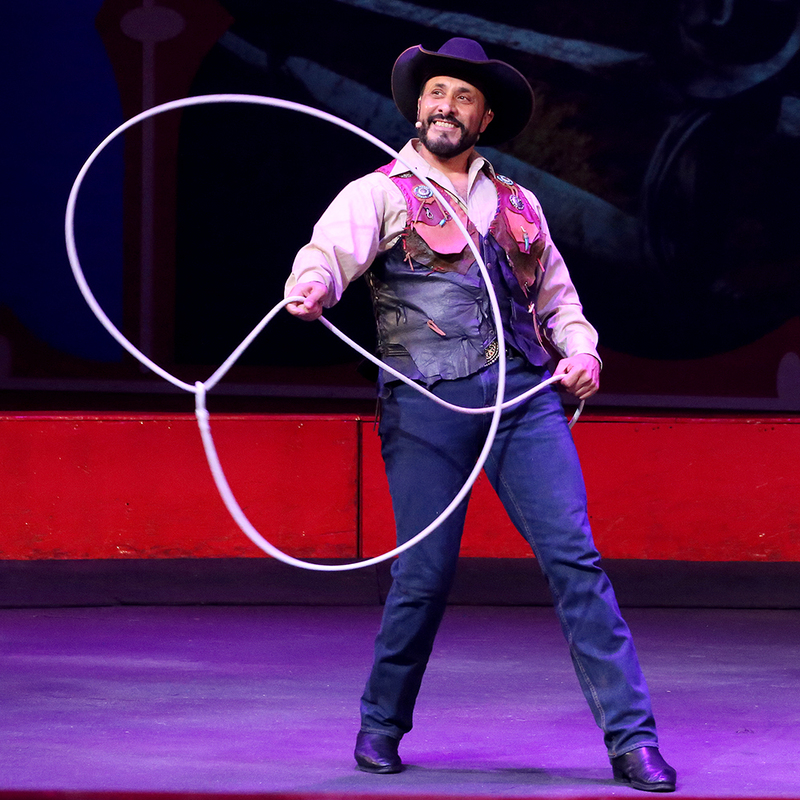 There's only one more week to experience Silver Dollar City's Wild West Show before the show ends on Oct. 14. Don't miss it! 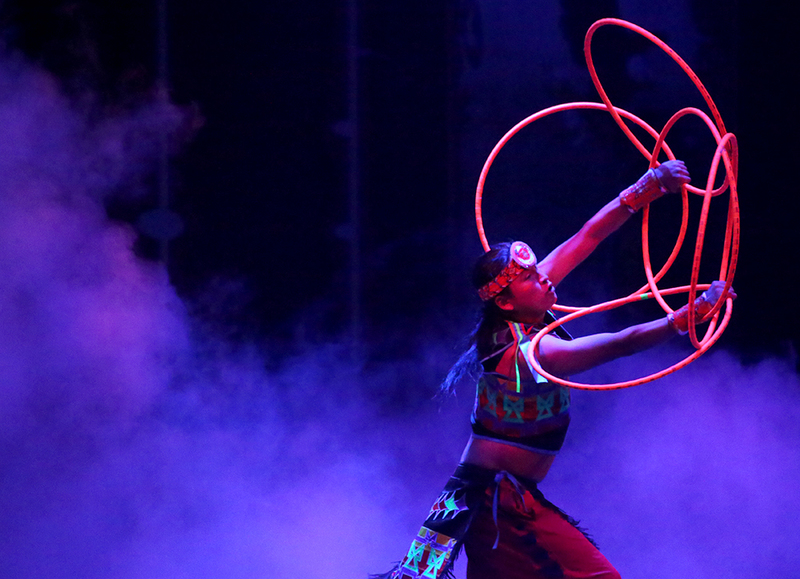 ‍Nine-time and reigning world champion hoop dancer Nakotah LaRance performs during the Wild West Show. 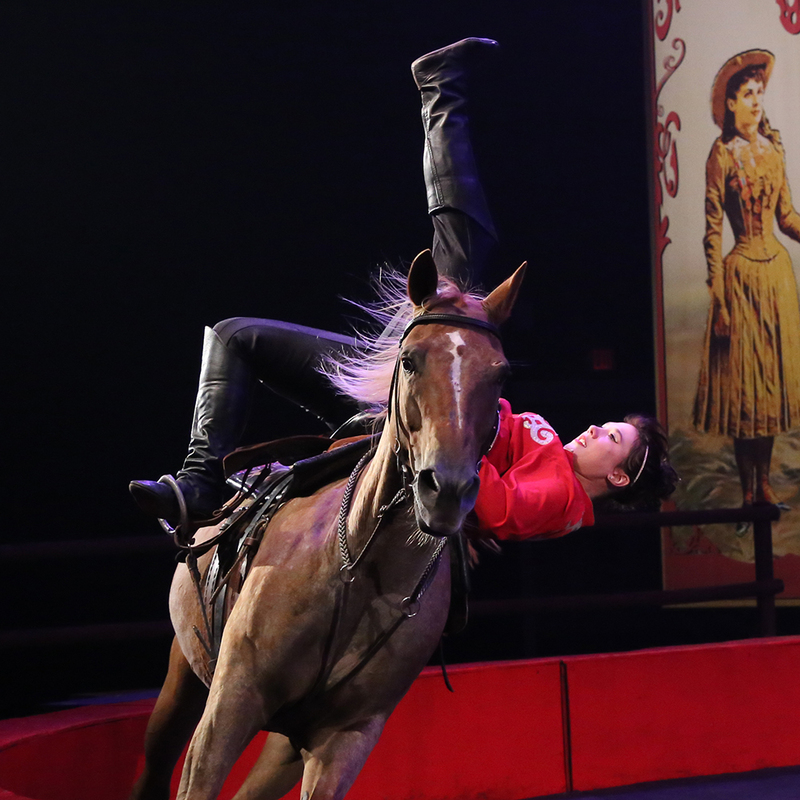 ‍A performer executes a stunt during the trick riding portion of the Wild West Show. Nancy Fairbanks, one of the 125 visiting craftsmen appearing at the park this fall, demonstrates pottery on the Silver Dollar City square. Mary Jo McCarty demonstrates the art of basket weaving on the Square. 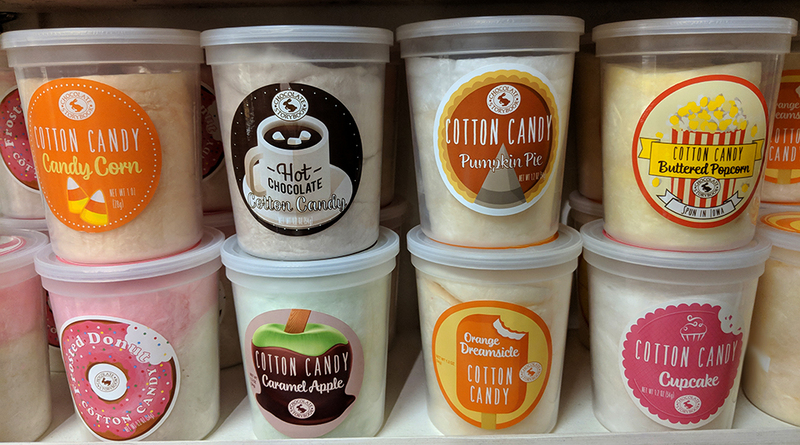 ‍These fun cotton candy flavors line the shelves in the Ozark Marketplace. 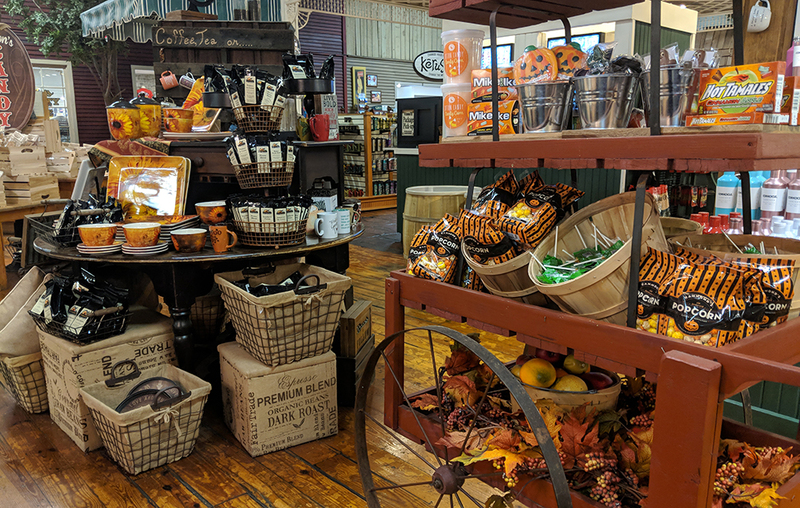 ‍The Ozark Marketplace is also where you'll find fun fall decor and more seasonal treats. ‍The cast of Roots & Koontz performs in the Silver Dollar Saloon. 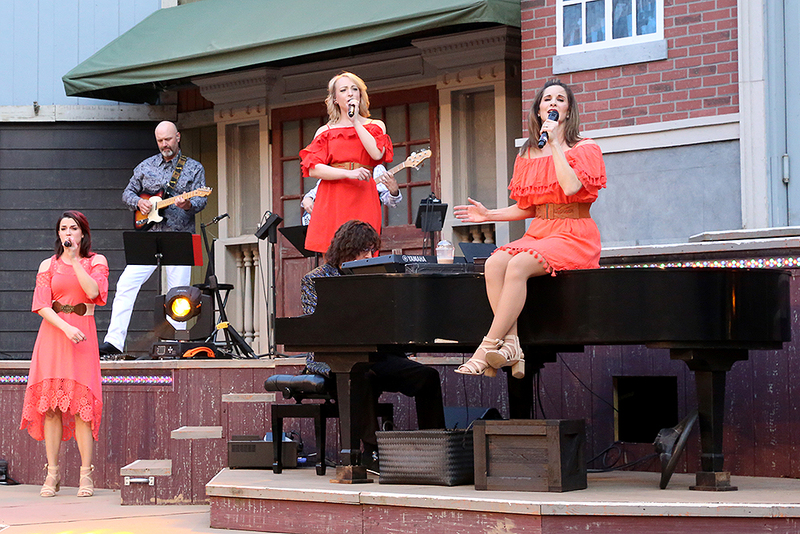 ‍The Heartbeats trio performs with a live band during the Hits From The Hollow variety show in Echo Hollow® Amphitheatre. 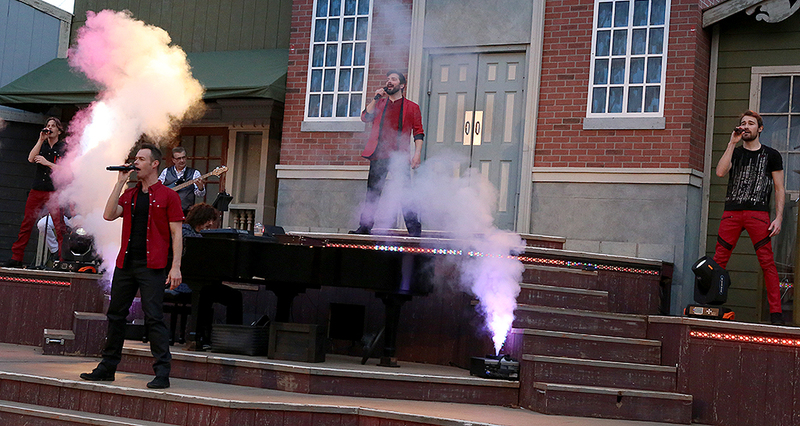 ‍The show, which begins at park closing every night this fall (weather permitting), also includes the quartet Harmonix, comedy and more. ‍Hits From The Hollow also includes performances by Contemporary Christian recording artist Allen Asbury. This show's final performance of the season will be held on Oct. 21, so make plans to visit before it ends for the year! 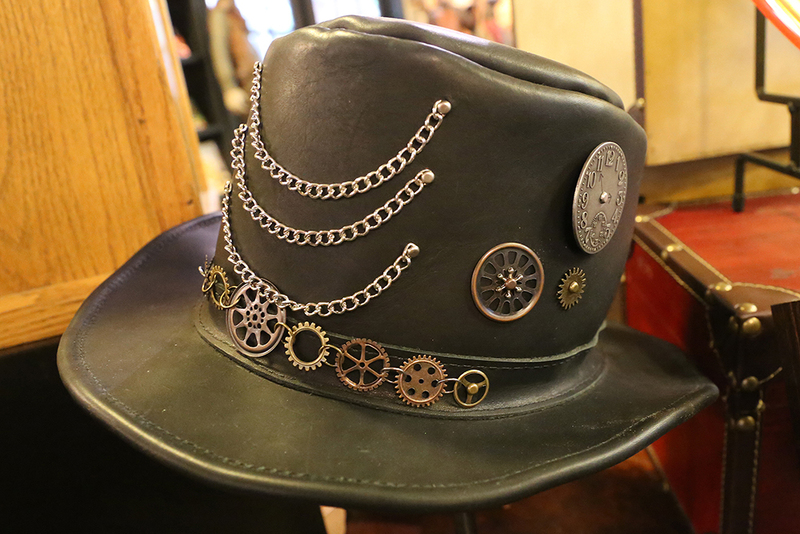 ‍This Time Traveler®-inspired hat was handmade by one of Silver Dollar City's master leather craftsmen. 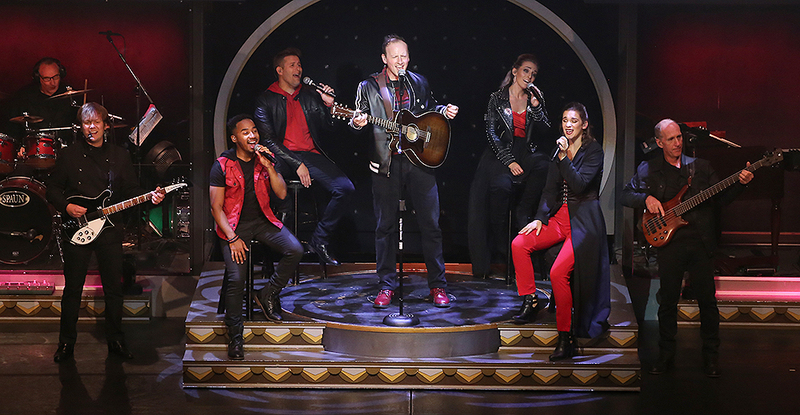 ‍At the Showboat Branson Belle, the cast performs "Take It Easy" during the variety show's salute to classic rock anthems. The set also includes other hits from The Eagles, plus ones from Journey, Kansas and more. 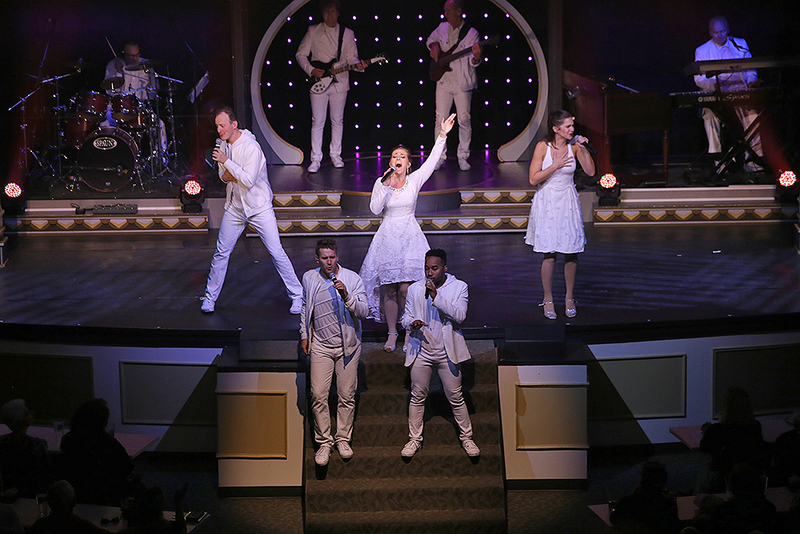 The four-piece band accompanies the cast throughout the entire variety show. ‍Cast members dance to the Bee Gees hit "Stayin' Alive," part of the Saturday Night Fever soundtrack, during the portion of the show that pays tribute to classic American films. ‍The Showboat emcee asks an audience member to select a card as part of his magic act. ‍A singer entertains the crowd as they eat lunch.